When something is out-of-place, it needs re-homing. Meaning, it needs to find a more appropriate place. The best fit for it. It’s not that the object itself is out-of-order; it just found its way to the wrong place. If it’s a beneficial object; it deserves to be accessible so it can be put to use and serve its purpose, as opposed to being shelved or hidden indefinitely. So this organizing strategy got me thinking. What if people need re-homing, too? I’m talking about re-fitting people to their Best Life. To a space where they can be optimally used. To a space where the world has access to them. Just like a well-placed and well-used object of value. Many folks (maybe MOST folks?) know that they’re not in a place (either in life, career, or mental state) where they’re optimized. They long for more. They ache to find that manner of living in which they will be truly fulfilled. Some seek a dumbed down version of fulfillment by coveting, acquiring, and collecting everything from stuff to experiences to people. Unfulfillment is marked by a constant search where nothing is good enough and you’re never “arriving”. Fulfillment is marked by effecting the purpose for which you were made and living in an ongoing state of contentment. So, yeah, most of us need to be re-homed. But how can a person be re-homed to their Best Life? By experiencing the Best Life modeled by Home-Hosters. Home-hosters are a rare treasure; a race of royal-living humans. They’re a counter-culture bunch who destroys mediocrity with their exceptional lives. But it’s not just their external lifestyle that produces their Best Life; it’s their internal lifestyle that sets the bar. In all this, Home Hosters have allowed Maturity, Wisdom, Generosity, Kindness, and Peace to take up residence inside them. They’re carriers of an other-worldly, heavenly reality. Though they are in the middle of Messy Life like the rest of us, they seem to live from the inside-out. Their inside-out living somehow makes things okay around them. Their ability to weather the storms of life is due to the tranquility inside them. And one of the best things about Home Hosters? They don’t keep this utopia to themselves. In fact, it leaks out of them. Their eyes shine with acceptance. You immediately feel comfortable in their presence. In a world of competition and disingenuousness, their words are starkly higher and healing. In fact, when you meet a true Home Hoster, it can be initially unnerving. Because their ways are so unlike the currency of this world, you might find yourself questioning their motives. You may be compelled to categorize them as outsiders. But if you’re intrigued, you’ll watch them closely to try to figure them out. Yet, once you’ve encountered a Home Hoster, you’ll feel differently about life and about yourself. You’ll likely want to get to know them more. Not because of anything in particular they do or say. Not because of their knowledge or position. But because you like YOU better when you’re around them. Something about them awakens something in you. A glorious world of acceptance and nobility is opened by Home Hosters, purely by them being THEM. Home Hosters simply allow their internal oasis to become a home for others. They exude an atmosphere around them that issues opportunity. Their life invites others to experience Home. And everyTHING and everyONE needs a home. Some people discover Home in a book or through storytelling. But…would you rather read or hear about Bora Bora, or experience that tropical paradise? As Fulfillment Seekers experience Home Hosters and the peace they carry, their internal compass needle begins to move to True North. They’re overcome with a paradoxical blend of the unconditional and the superlative, inviting them into their Best Life. 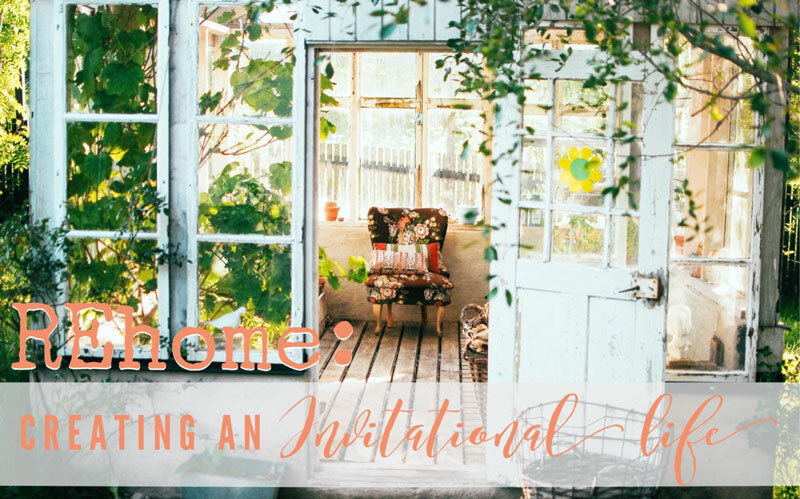 Re-homing happens through experiencing this invitational lifestyle and stepping into a realm of safety and growth. Once folks feel safe and approved, they can get down to business. The business of offloading all that isn’t serving them. The business of trading in junk for jewels. The business of becoming a Home Hoster themselves. They step into this because they’ve seen it modeled. They now know it’s possible. And along the way, they discover that they’re becoming more of their Best Self. They begin to remember what they’ve always loved and what’s running through their veins. They re-engage with themselves and begin to dream again. This time, not of collecting, but becoming. These former Fulfillment Seekers become filled with remembrance and possibility. The negative starts dropping off them and they start moving out of hiddenness and into view; into their Best Fit. If YOU haven’t found fulfillment yet and would love to experience Home and your Best Life, find a Home Hoster. Slow down a bit and look around. Evaluate the fruit of people’s lives. Look for juicy people whose lives tell an inviting story that their mouths don’t have to. Tune in to people’s eyes and faces and responses to life’s challenges. Find the carriers of virtue. Upon drawing near, see what happens to your compass needle. If it’s headed for True North, you’ll know. Yet, remember that you’re looking for Home – the place where you can be the Original You. So, you’re not pinning your hope upon a person. People can let us down. People can let the light inside them flicker if they don’t continue hosting the atmosphere of life and peace. I bumped into a Home Hoster that I suspected carried something I needed. So I drew near, showed up, leaned in, learned, and received. Gratefully. And as soon as I got a taste of the Best Life and began to shed the layers of limitation, I began to leak it out, too. I was re-homed. And now I live in an increasing state of virtue to re-home others. That’s how it works. Once you find the place (not a career or station in life, but a REALM), you’ve found your homeland. And being Home empowers you to increasingly step into the Original You. And you just living out your Best Life creates a beckoning realm that others will be attracted to…. Maybe you’ve already found this Home I’m speaking of, this heaven-on-earth realm, where anything is possible and you are free to experience the adventure of discovering and becoming YOU. If so, then you are a Home-Hoster. Steward that realm. Protect its purity. Share it invitationally. You never know the world-changers stuck in unfulfillment who need YOU to help re-home them.